Don't miss the opportunity to gain valuable information regarding safety and health at the 16th Annual Alleghenies Regional Safety Conference. 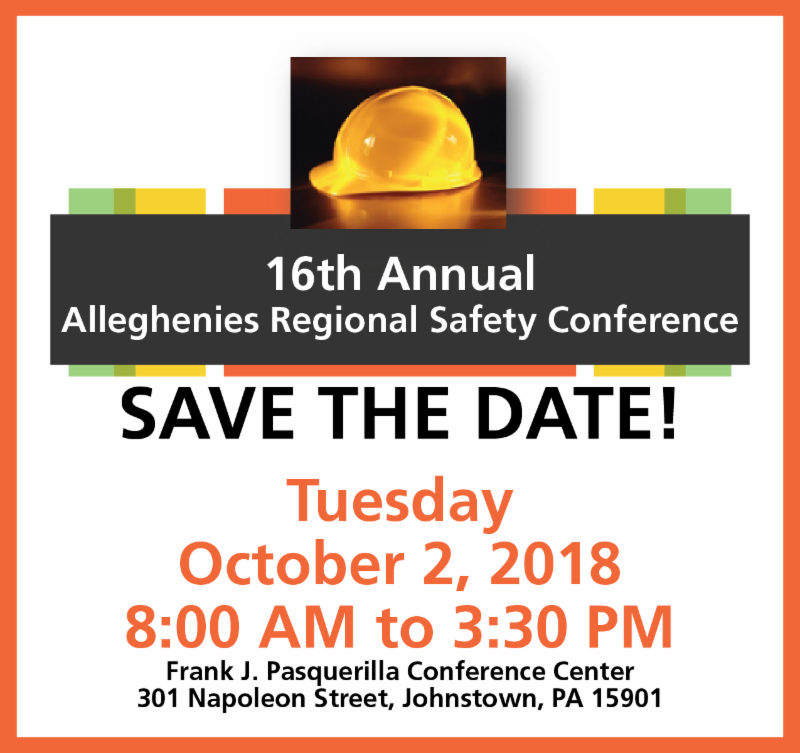 Don't miss the opportunity to gain valuable information regarding safety and health at the 16th Annual Alleghenies Regional Safety Conference. The conference will be held on Tuesday, October 2 from 8:00 am to 3:30 pm at the Frank J. Pasquerilla Conference Center located in downtown Johnstown. There are still vendor and sponsorship spots available. 2018 Keynote Speaker: Bob Fatula, Director of Training/Threat Preparedness, Gittings Security. Topic: Active Shooter Simulation, preparation and planning to minimize chaos and injuries. Breakout Session Topics can be seen here . For the vendor or participant information click the links below or contact Debi Balog at 814.262.8366 or via e-mail at dbalog@jari.com . 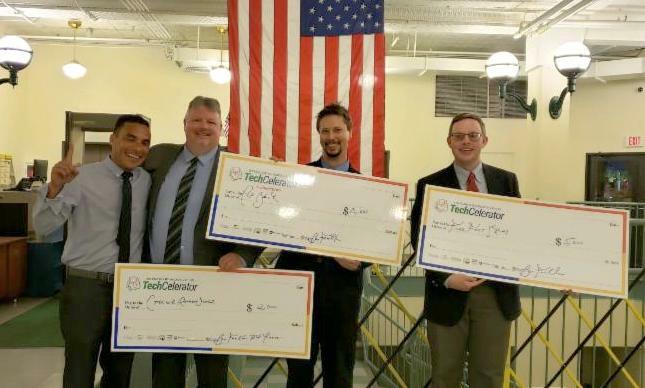 On Thursday, September 6, 2018, six local entrepreneurs competed for cash prizes as part of a “pitch” event sponsored by the Ben Franklin TechCelerator@Johnstown. As an important component of the Startup Alleghenies initiative, www.startupalleghenies.com , the Ben Franklin TechCelerator@Johnstown, is a tech-business startup accelerator offering the area’s emerging entrepreneurs, small manufacturers, students, and tech-startups a one-stop-shop for entrepreneurial training. 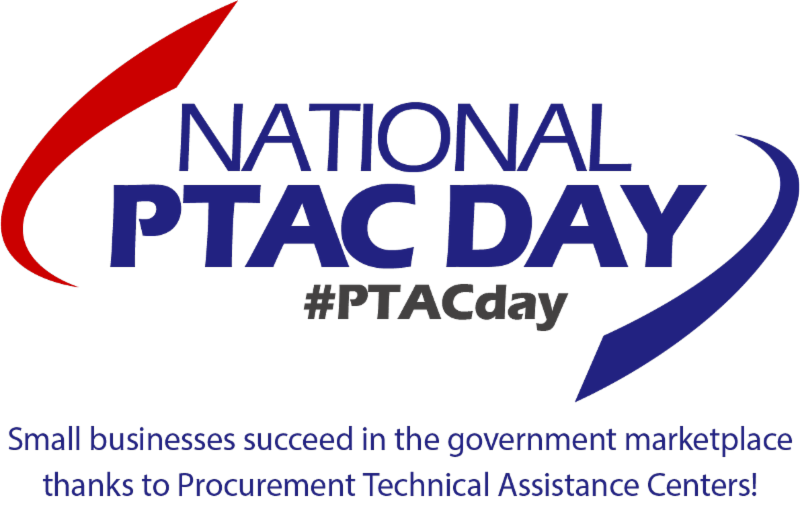 To celebrate the success of PTAC clients in communities across the country, the national PTAC network is hosting the first annual National PTAC Day on September 26th. It will be marked by events and community outreach at local, state and national levels to promote the effective work being done by PTACs across the country and the resulting success achieved by PTAC clients. Featured among these activities is a national webinar, Top Tips for Finding and Winning Government Contracts , to be held at 2:00 pm eastern time. Presented by a panel of PTAC procurement experts, the live webinar will provide valuable insights and information to both newcomers and veteran government contractors. 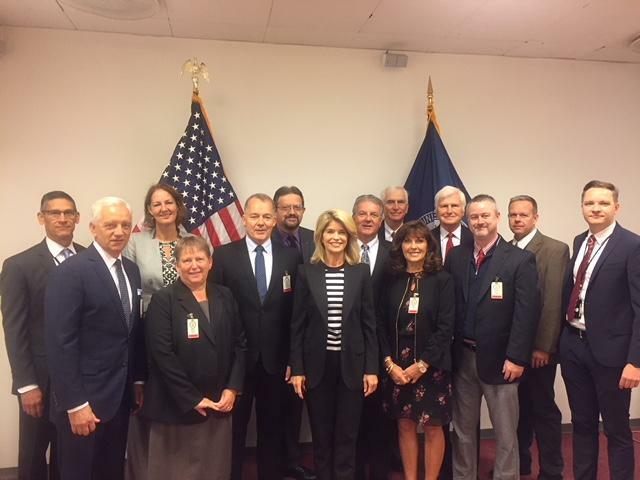 “We want to spotlight the impact that PTACs are having across the country,” says Tiffany Scroggs, President of the Association of Procurement Technical Assistance Centers (APTAC). “By helping businesses, PTACs stimulate the creation of new jobs and economic growth in their communities. 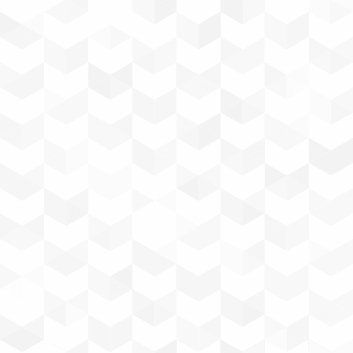 And, just as importantly, PTAC clients often are new suppliers that provide products and services critically needed by the armed services and all units of government." For more information about the national PTAC celebration, click here . Follow the hashtag #PTACDay on social media! Please contact us for any of your government contracting assistance needs at (814) 254-4022 or (814) 254-4023 or via email at jariptac@jari.com .